Promotions & New Media, Interactive & Mobile და Integration & Innovation- are the categories, in which WINDFOR’S-ის Cannes Lion video – Dinner with Georgia got winner. International creative jury comprising 60 creative crews, featuring two Georgian creative directors – Beka Meparishvili and Nino Gordeladze, were presented on November 10th, in Barcelona and revealed the best works of the year around Europe. 802 works were fought to reach the 26 th ADC * E. WINDFOR’S’s international success was also reflected in ratings of Georgian advertising agencies of ACAG. 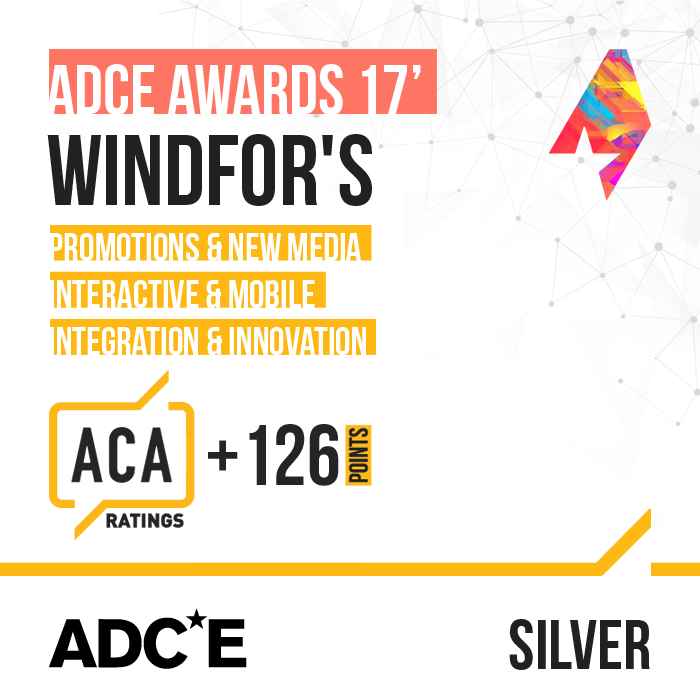 With earned silver awards agency earned 126 points. WINDFOR’S has been significantly advanced in terms of Georgian agencies, in 2018 he has 175 points, followed by Leavingstone with 40 points and JWT Metro, with 12 points. Recall that ACAG ratings are conducted by member agencies in accordance with the rules and feudal coefficients agreed.